The human gut harbors an enormously diverse community of microorganisms collectively referred to as the “microbiome”. This microbiome has co-evolved with humans over half a billion years to assist in critical host metabolic and immune function. The impact of changes in the microbiome on disease states as diverse as diabetes, obesity, inflammatory bowel disease, epilepsy, and multiple sclerosis is only now being recognized. It is clear that human immunodeficiency virus (HIV) infection has profound effects on the intestinal mucosal environment with one of the hallmarks of HIV infection being a rapid and profound depletion of CD4+ T cells within gut associated lymphoid tissue (GALT). Despite this, there is a paucity of information regarding the changes that occur in the intestinal microbiota in HIV infection and the potential effects of these changes on host immunity and HIV disease progression. It is believed that HIV infection results in intestinal inflammation and increased intestinal mucosal permeability with subsequent translocation of luminal microbial products into the systemic circulation. 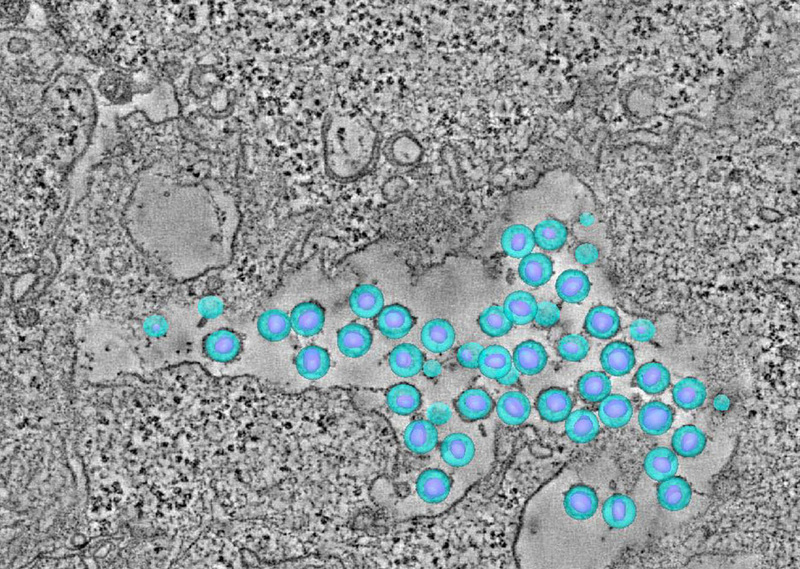 This microbial translocation drives chronic immune activation, which results in T cell exhaustion and HIV disease progression. The mechanism by which HIV induces intestinal epithelial dysfunction and microbial translocation remains incompletely understood. Even less is known about how gut microbial populations may influence, or be influenced by this process. Still, it has been shown that enteric microbiota in humans and nonhuman primates can be significantly altered early in infection by lentiviral-mediated disease. Abnormal microbiota are strongly associated with intestinal inflammation in inflammatory bowel disorders with data suggesting a causal role in gut inflammation. 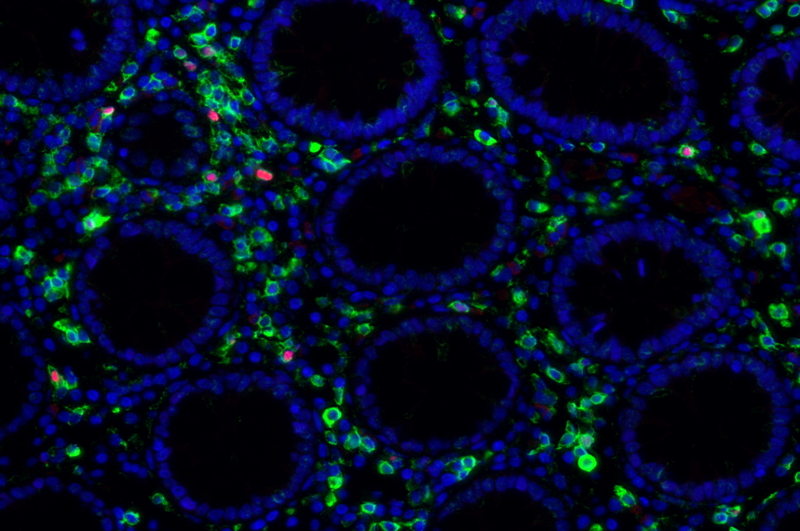 This suggests that the microbiome may play a direct role in mediating intestinal dysfunction. It is therefore critical to develop a more detailed understanding of the impact of alterations in the intestinal microbiome on HIV-associated intestinal dysfunction and disease progression. Our team aims to understand how HIV-related defects in vitamin A metabolism and intestinal epithelial homeostasis may contribute to immune dysfunction and disease progression. 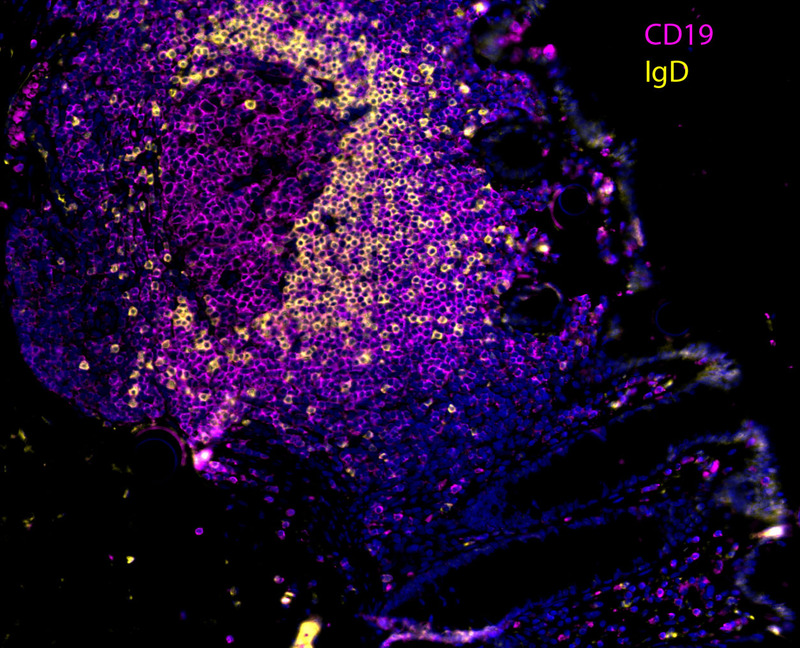 Using peripheral and tissue samples from well characterized cohorts of HIV-infected individuals, we analyze biomarkers and cell populations by flow cytometry, microscopy, advanced single cell sequencing approaches and in vitro and in vivo models to mechanistically dissect ex vivo observations from our human cohort studies. We are performing this characterization of host mucosal immune function with coordinated studies of the gut microbiome, to better understand how HIV impacts both enteric microbial communities and host immune function to better understand the role of the gut in HIV disease progression.